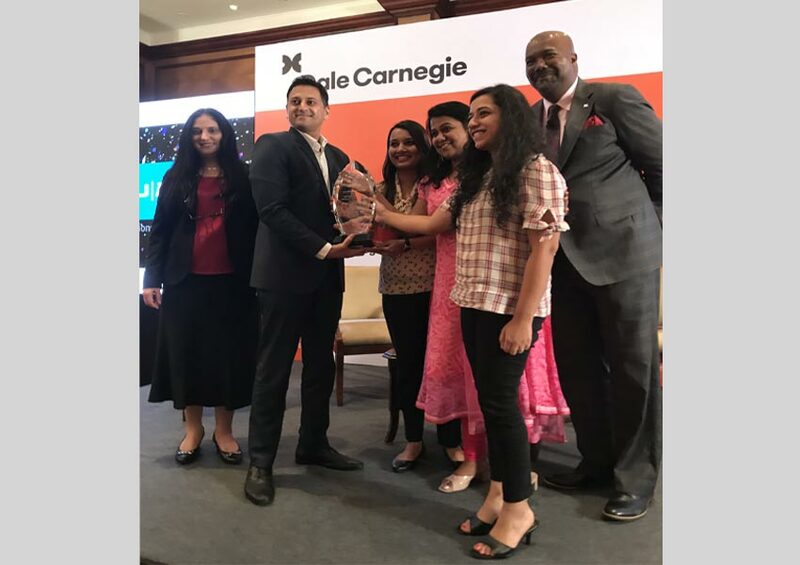 Dale Carnegie of India has announced Bajaj Allianz General Insurance as the winner of the prestigious Dale Carnegie Global Leadership Award 2018. The first runner-up award was presented to Infosys BPM and Cisco Systems bagged the second runner-up award. The top 6 nominees shortlisted for the award also included The Lalit, L&T Technology Services and Hindustan Petroleum Capital Limited. The panel comprised of industry stalwarts like Ms. Kashmira Mewawala, Head – Business Development & Chief Ethics Counselor, Tata Capital; Mr. Vikram Sakhuja, Group CEO Madison Media & OOH, Madison World; Mr. Ercell Charles, Vice President of Training, Dale Carnegie Training; Ms. Pallavi Jha – Chairperson & Managing Director, Dale Carnegie of India. The moderator of the panel was Mr. Sanjay Jha, Executive Director, Dale Carnegie of India.